New Word Alert…..ChaiTang-ing! 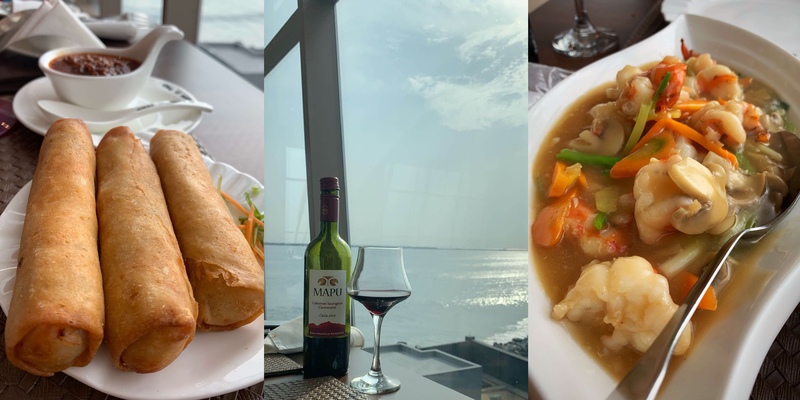 When a restaurant serves up mouth-watering meals in its spectacular space with a breathtaking view, it deserves to be added to the dictionary. Space The sea view from the balcony is everything! Click here to watch video (Sunset beauty). Chai Tang has an opulent ambiance…… tasteful furniture, rich colors, striking decor pieces and lots of Chinese Art. Food One thing I’m absolutely in love with is their Prawn and Mayo Spring Rolls. They make them fat, perfectly crunchy on the outside and the filling…..finger-licking good. The Crab and Sweet Corn Soup is another deliciousness to behold. What’s not to love about fresh corn, crab meat and soup with depths of flavor? Steamed Whole Fish with Ginger & Spring Onion. I’m not big on fish so no comment from me but my trustworthy dining partner swears that this is every fish lover’s dream. If you are searching for a sauce-y girl, that’s me! I’m on an adventure of trying out all the Chai Tang sauces but my favorite for now is the Stir Fried Prawns with Seasonal Vegetables. I have a general love affair with fried rice and noodles…… Chai Tang makes the love blossom even more. For full effect, go for the Special Fried Rice and Chicken Chow Mein. I have tried out two of their cocktails….. Henny Berry & Peach Margarita Mocktail. The Henny Berry, I really loved and would recommend for anyone who likes sweet cocktails. The Peach Margarita Mocktail, I wasn’t in love with. I’m not sure why I even asked for it in the first place because what’s a Margarita without the tequila? I guess you can try it out if you are into the mocks. Address: Twinwaters Entertainment Center, Okunde Bluewater Scheme, Off Remi Olowude Street, Lekki.